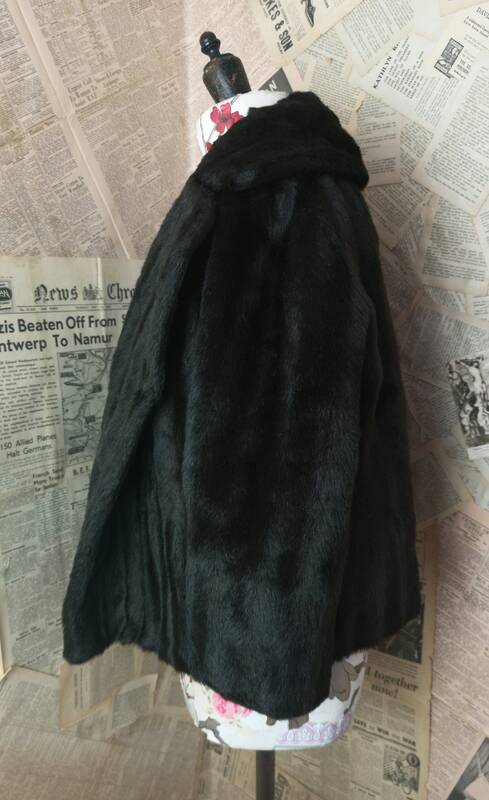 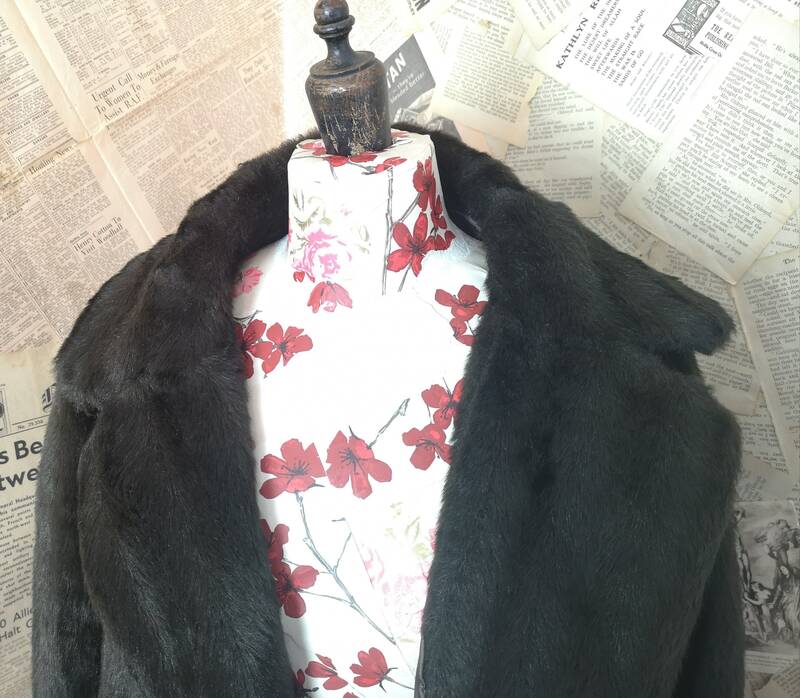 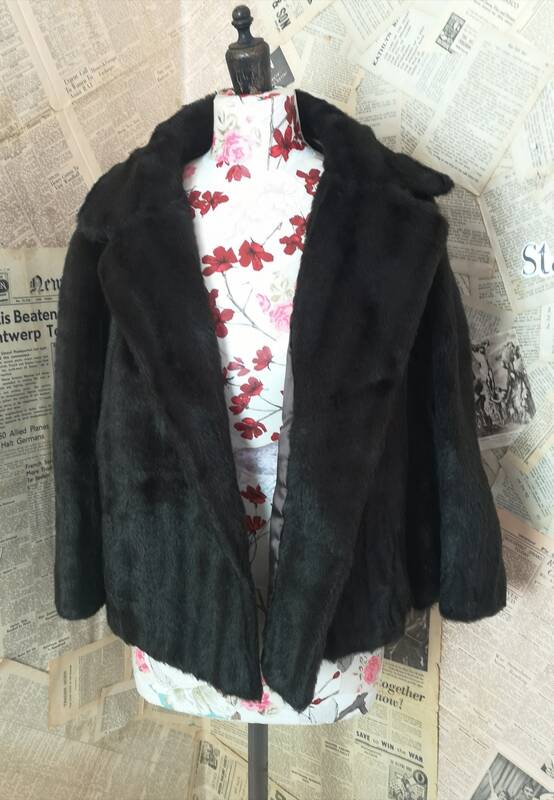 A lovely vintage 1950's faux fur jacket. 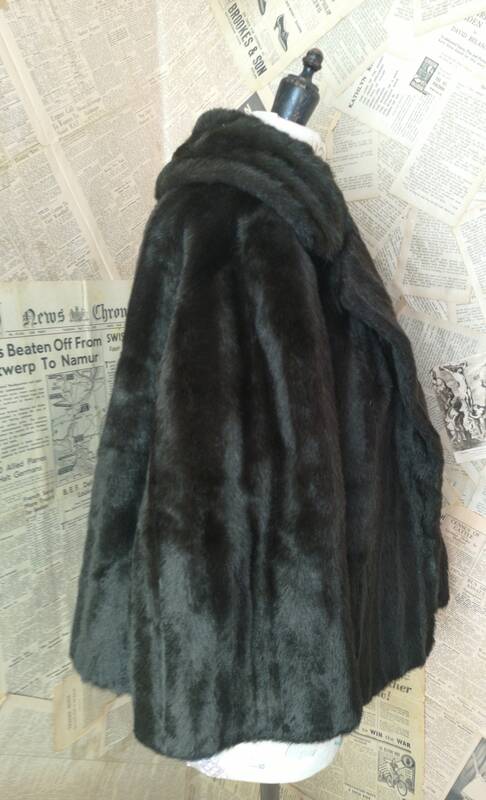 Short length perfect for covering up on chilly evenings. 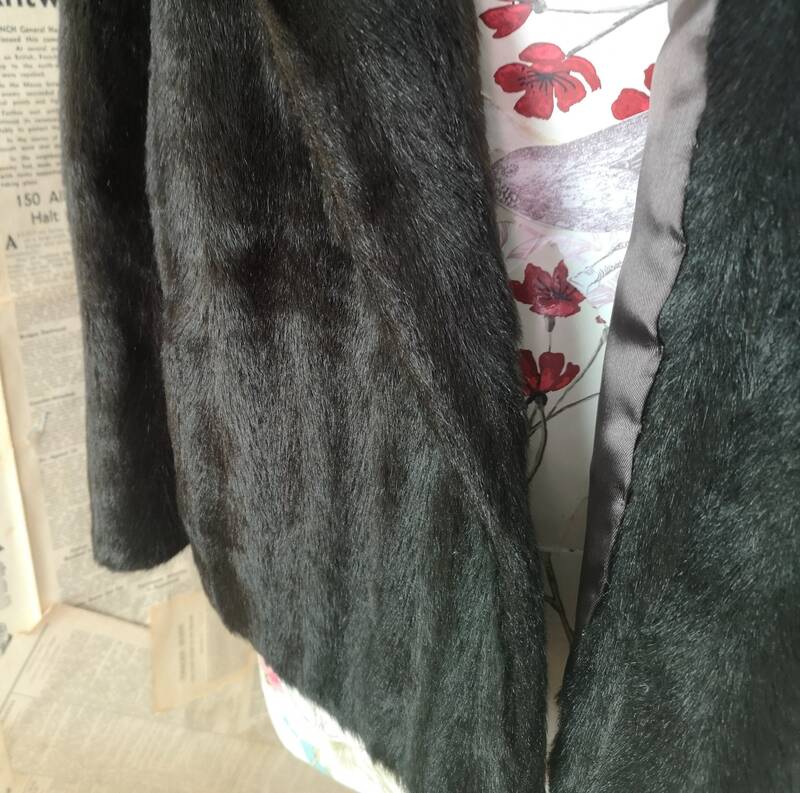 It is a brown / black imitation mink with a light striping. 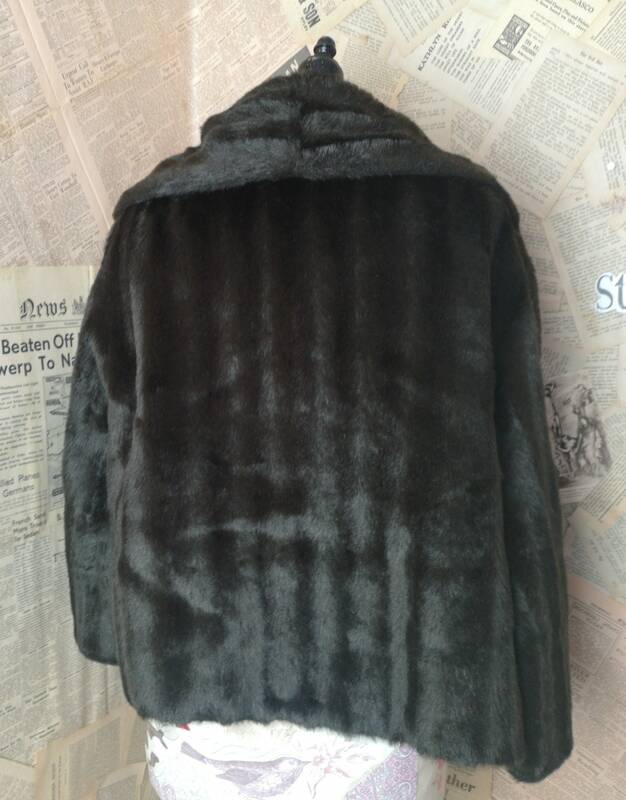 Lined in a brown satin, it has a label recommending a furrier and should be cleaned in the same way as real fur. 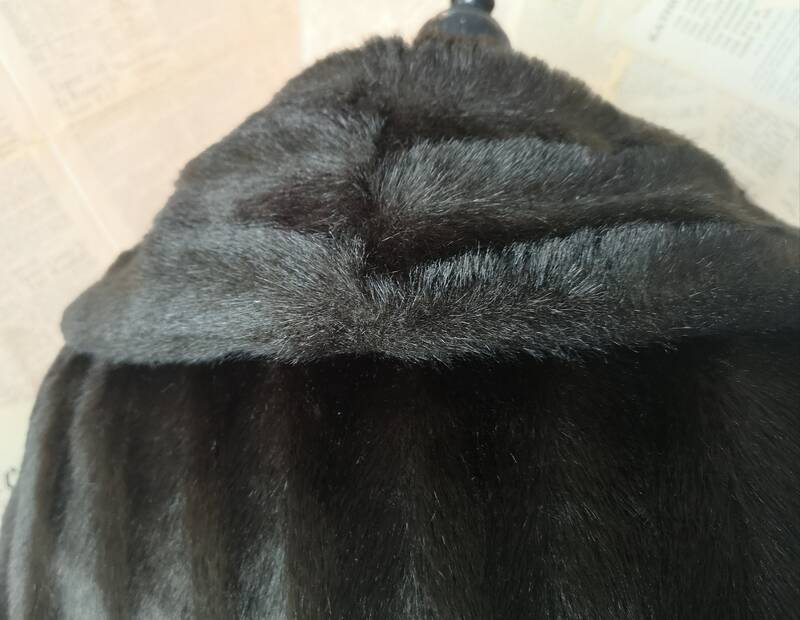 The condition is very good, no balding, nice and fluffy, no rips or tears.